Situational awareness: Marriott says a data breach exposed the personal information of as many as 500 million Starwood guests, the Wall Street Journal reports. What's Facebook's story on how involved COO Sheryl Sandberg was in investigating billionaire George Soros? It depends on the day, as Axios' David McCabe reports. Two weeks ago, Sandberg spoke with a CBS News anchor and said she “did not know about or hire” a consulting firm that linked the social network's critics to liberal billionaire George Soros, a frequent recipient of anti-Semitic attacks. Last week, she admitted that materials produced by the firm, Definers Public Affairs, crossed her desk. So did emails mentioning the firm. On Thursday night, the New York Times and BuzzFeed News reported that she had directed executives to look into Soros’ potential financial motives in criticizing the company. Why it matters: Sandberg’s boss, CEO Mark Zuckerberg, has stood by her thus far. But the flow of new revelations about what she knew, and what she did, are further undermining her credibility and the company's already frayed reputation. 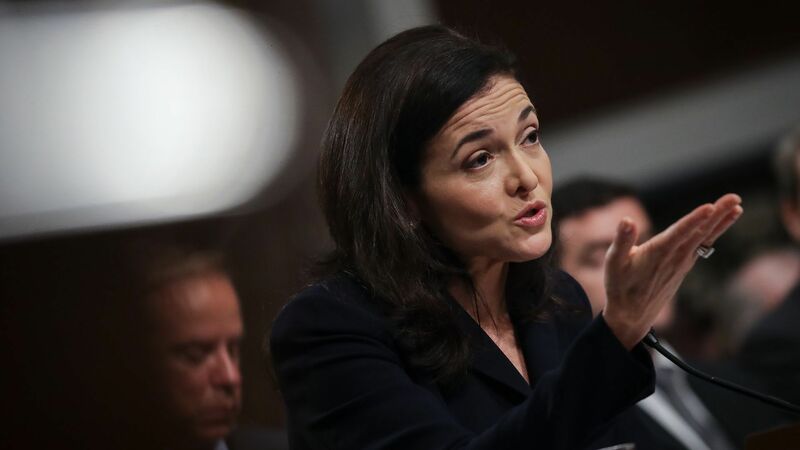 The spokesperson added that Sandberg never “directed research” on Freedom From Facebook, a progressive coalition advocating for the breakup of the company that ultimately became the target of the opposition research undertaken by the consulting firm. A number of observers on Twitter noted that it's not unusual for corporations to look into the financial interests of prominent public critics. However, the comptroller of New York City, reportedly a major Facebook investor, called on the company's board to take action. "Where is Facebook’s board?" Scott Stringer said in a tweet. "The silence from the board of directors in the midst of continuous scandals is deafening. They must establish independent board leadership — now." Our thought bubble: Looking into Soros is one thing, but the continued walk-backs make the company sound more like a political campaign trying to squelch a scandal than a responsible business trying to serve the community. Earlier in the day, Sandberg was part of a Facebook delegation that met with representatives of Color of Change, an outside group that has been pushing tech companies on diversity issues. What's new: The group says that Facebook promised it will release an early version of a civil rights audit of its platform by the end of the year, David reports. Fire its top policy executive, Joel Kaplan, a former Republican staffer. Release data on voter suppression attempts on Facebook products. Release opposition research that a right-leaning consulting firm produced trying to link the civil rights group to Soros. Details: Sandberg apologized to the civil rights group during the meeting, according to multiple sources. The delegation from the civil rights group met with Sandberg, as well as Facebook staffers Monique Dorsainvil and Lindsay Elin. Dorsainvil worked in the White House under former President Obama and Elin was also active in Democratic political circles before entering the private sector, according to their LinkedIn pages. They met at Facebook’s California headquarters for over an hour, Color Of Change president Rashad Robinson said, with Zuckerberg stopping by midway through. “He said 'I’m glad this meeting's happening,' or something like that, and that was it,” Robinson said about Zuckerberg. The big picture: The meeting comes as Facebook is dealing with a number of issues, including a memo that was made public earlier this week from former Facebook employee Mark Luckie also accusing the company of failing to support its black employees. Teens take a selfie in Times Square, New York. Photo: Drew Angerer/Getty Images. Despite rising concern in both Silicon Valley and beyond about screen time overload, a new Pew Research Center report shows a large majority of teenagers believe using social media is good for them, Axios' Marisa Fernandez reports. Why it matters: A lot of research into the relationship between young people and social media has drawn negative conclusions: Social media is anxiety-inducing, creates unrealistic body images, and promotes cyberbullying and ideological bubbles, BuzzFeed reports. But teens themselves apparently disagree. Some 45% of teens say they're on the internet constantly, causing them to be the driving force of which apps and sites are popular, per Pew. By the numbers: In the report, 743 teens were surveyed about the benefits and negatives of social media use. 81% of teens said social media makes them feel more connected to friends. 71% said it helps them show their creative side. 69% said it helps them make friends and with a more diverse group of people. 68% feel like they have people who support them through tough times. In its first cases involving initial coin offerings, the Securities and Exchange Commission settled with boxer Floyd Mayweather Jr. and music producer DJ Khaled for failing to disclose payments they received for promoting the ICOs. Separately, the FBI arrested AriseBank CEO Jared Rice, Sr., alleging he duped hundreds of investors out of more than $4 million in a cryptocurrency scheme. The bottom line: The world of cryptocurrencies may be the Wild Wild West, but there is still a sheriff. The FCC is holding a public event on AI at its headquarters, with demos and speakers from academia and industry. Amazon's AWS re:Invent conference wraps up in Las Vegas. Former Cisco executive Padmasree Warrior is leaving her post as U.S. chief executive of NIO, a Chinese electric vehicle company. General Motors said Thursday that company president Dan Ammann will become CEO of its self-driving unit, Cruise. Apple Music is coming to Echo devices, per Amazon. This person turns Starbucks cups into art.